¡HolaKids! 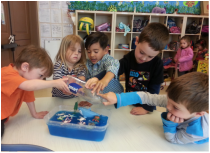 Spanish Immersion Preschools develops children who are engaged learners ready for Kindergarten. 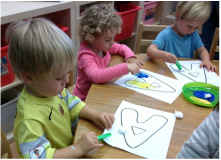 Children from our preschool enter elementary school as confident and capable learners in at least two languages. Children thrive in a loving environment which fosters trust. Therefore, our focus is to create a comforting, inviting and safe classroom experience. Our curriculum is adapted for all types of learners because we recognize that each child learns differently. Learning, at every stage, occurs through exploration, dramatic role play, hands-on experimentation, and engaging all of the senses. Pequeñitos are introduced to the preschool setting and the emphasis is on developing social skills. They learn how to behave in a group and contribute to circle time and the classroom. All these skills are taught in Spanish with lots of support and reassurance. Curiosos seek to master their own learning while we lay the foundation for the next levels. Our curriculum develops their confidence in Spanish while tackling preschool prerequisites including the development of more advanced fine and gross motor skills, peer interactions, and self-expression. 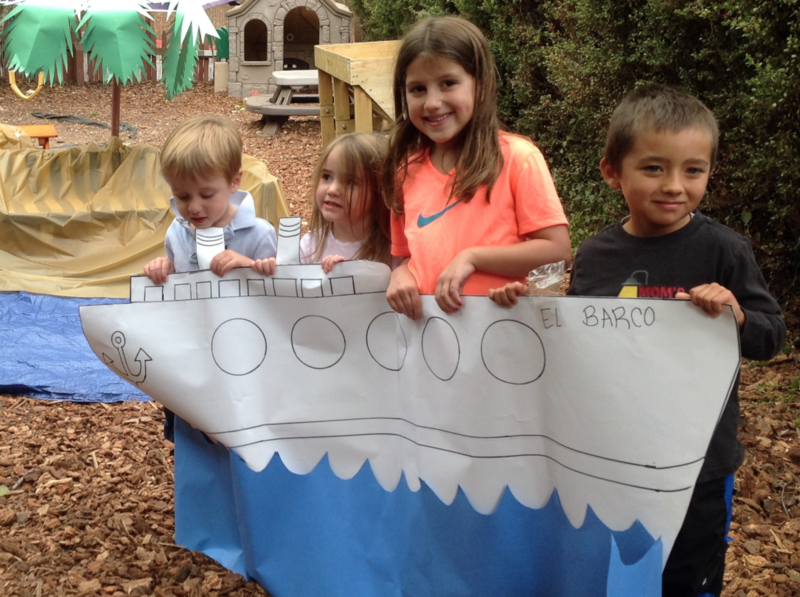 For some Aventureros, this is their last year before heading off to Kindergarten. The children flourish not just with Spanish, but also practice what they have acquired through academic games from previous years. Concentration increases and language skills expand rapidly at this stage. Exploradores benefit from a gift of time with an additional year immersed in Spanish before heading off to Kindergarten. This extra year helps to solidify their spoken and written language while allowing them to develop self-control and creativity in their learning patterns. ​¡HolaKids! teacher:student ratio of 1:5 allows teachers to provide the individualized attention needed to ensure students are well served in their learning, social-emotional development and personal growth. We have two formal parent teacher conferences scheduled during the year and additional meetings can be scheduled if needed. Our curriculum is the structural framework for our lesson plans, where carefully selected themes integrate vocabulary to ensure repetition and reinforcement. Themes expand with the students' growing capabilities and skills. Each level of our Spanish language curriculum builds on the previous level and introduces vocabulary including verbs, nouns and adjectives in a carefully planned progression. Social skills (sharing, taking turns, etc. ), asking for help, daily tasks and chores, putting away classroom items, and other routine interactions are all essential elements of the language instruction.